Mid-1940s. Inscribed “To Irving. On account you’re such a love! Marta”. Marta Linden doesn’t hang around for long in Hollywood. 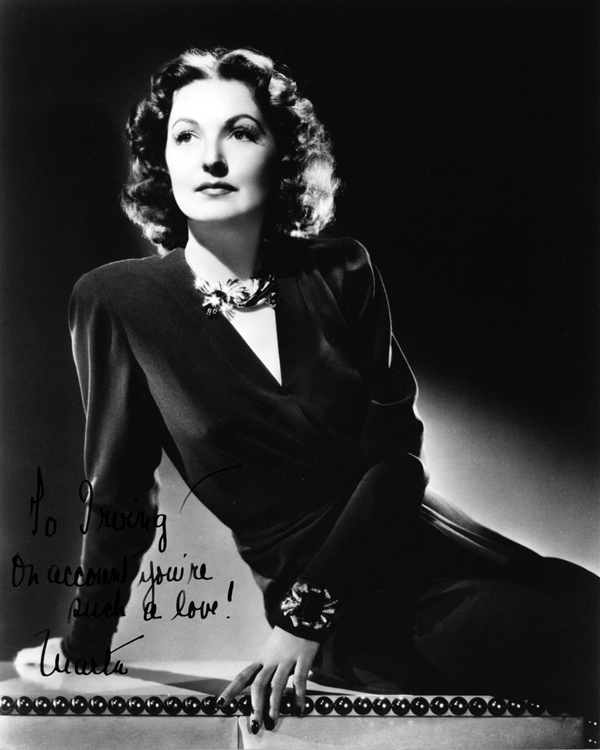 Between 1942 and 1945 she appears in 15 movies before leaving for a career on Broadway, where she will frequently appear in drawing room comedies. She will have a daughter and live to be 87 years old.